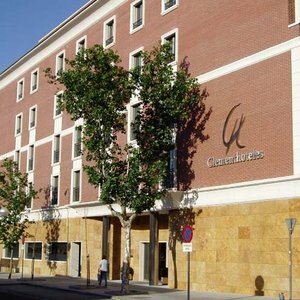 Hotel Clement Barajas is situated 3 minutes from Madrid-Barajas airport and from the exhibition centre IFEMA and has a great connection to the main points of the city. It offers 72 great rooms with a warm and comfortable design. They are equipped with air conditioning, Wi-Fi and ADSL, free mini bar, bath robes and slippers (on request), etc. There is also a free shuttle service to the airport and to the exhibition centre. Enjoy the new Bar-Lounge which offers different meals and is a friendly and calm place, where you can watch football or listen to music at a low price. In the Clement Barajas you can also find a 24-hour snack-area with food and drinks next to reception. Enjoy the great location of the hotel next to the Madrid-Barajas airport and the great services offered by the hotel. *** If the guest is not the credit card holder, the hotel my ask for a copy of the id-card or the credit card in advance.